A 29-year-old man, Job Nathaniel, who was a criminal suspect on the police wanted list, has died while trying to evade arrest by jumping through the roof of a hotel in Yenagoa, the state capital. Nemesis was said to have caught up with Nathaniel on Thursday when operatives of the state security outfit, ‘Operation Doo Akpo’, surrounded the hotel where he and his cohorts had taken refuge. 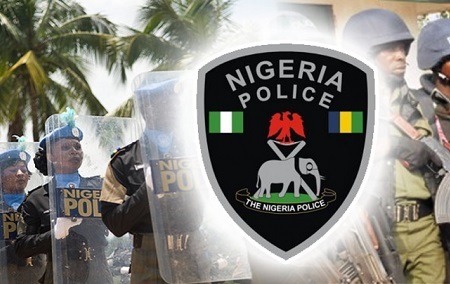 The Police Public Relations Officer, Bayelsa State Command, Mr. Asinim Butswat, said on Friday that the suspect met his waterloo when operatives were alerted on the hideout of criminals, who were on the wanted list of police for several heinous crimes. He said the operatives swung into action and raided Benvis Hotel, Opolo area of Yenagoa metropolis where the criminals were hiding. Butswat explained that Nathaniel, in a bid to escape arrest, jumped from the roof of the hotel, sustained a fatal injury and later died in the hospital, adding that the suspected cohorts of Nathaniel: Wisdom Holly, 19, Ovie Solomon, 25, Goodnews Blessing, female, 18, and Miracle Marcus, female, 20, were arrested. The state police spokesman said the suspects led police to their girlfriends’ house, a few metres away from the hotel, where the police operatives recovered a locally-made revolver pistol with one live cartridge. He also disclosed that on March 14, 2018, about 1.35pm, two unknown gunmen, armed with a locally-made pistol, went to Elohim Food Mart, at Swali Road, Yenagoa, and robbed one Elo Baribefe, female. The suspects, according to Butswat, got one Itel Phone, one Infinix Phone, one Vivo Phone and a cash sum of N327,000 from their victim. The police spokesman advised shop owners to mount CCTV cameras on their premises to assist the police in their investigation, and added that the suspects would soon be charged to court.